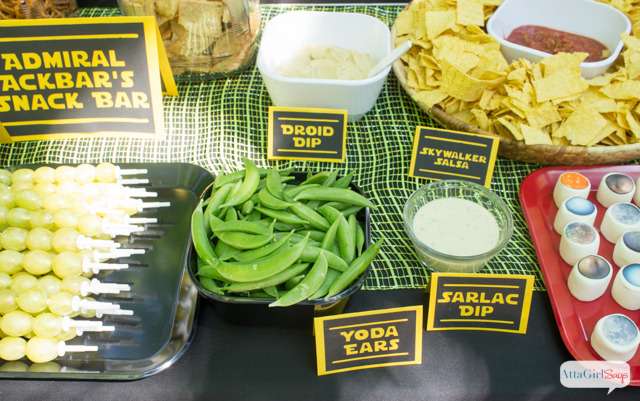 May the snacks be with you. With the upcoming Star Wars Episode VII release on December 18th, fans across the nation are anxiously awaiting the film’s release, hoping that the force will be strong with this new film. Being that I was born on National Star Wars Day (#MayThe4thBeWithYou), I couldn’t imagine a more fitting topic for me to cover: Star Wars inspired snacks. Let’s get going, Jedis. This is genius. You can be lazy and go for some classic McDonald’s french fries as your Vader Pataters, OR you can step yo game up with these sweet potatoes. Someone make these so I can eat 8, please. 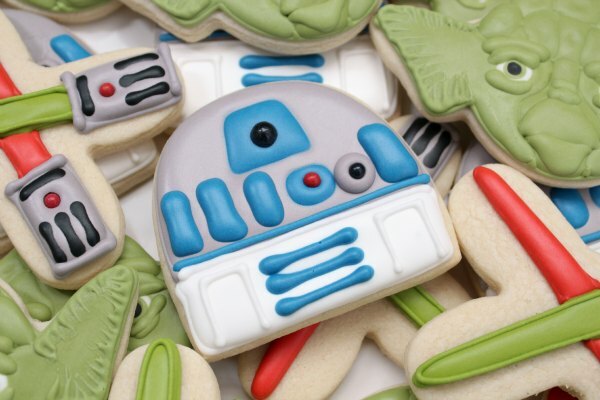 Try out this simple recipe for R2D2 cookies, but if you’re pressed on time, Pillsbury is offering R2D2 ready bake cookies. Keep yourself oiled up and hydrated with some C-3PO oil. Buy little water bottles, paint them gold, and add a C-3PO inspired label. What better way to touch on Princess Leia’s iconic hair style? 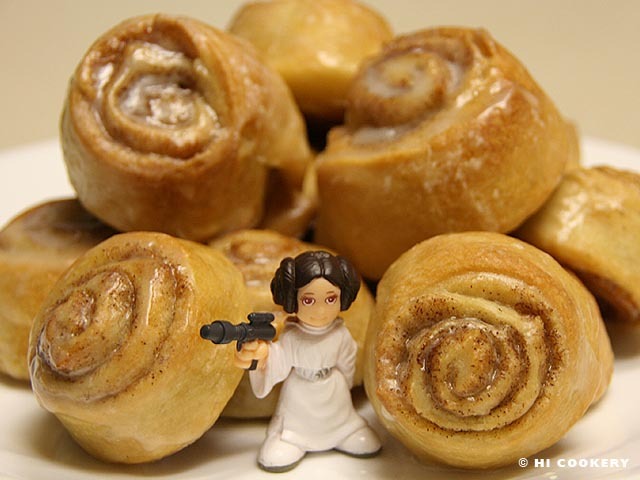 Make some cinnamon rolls yourself, and add your Star Wars twist to it by adding a little action figure. 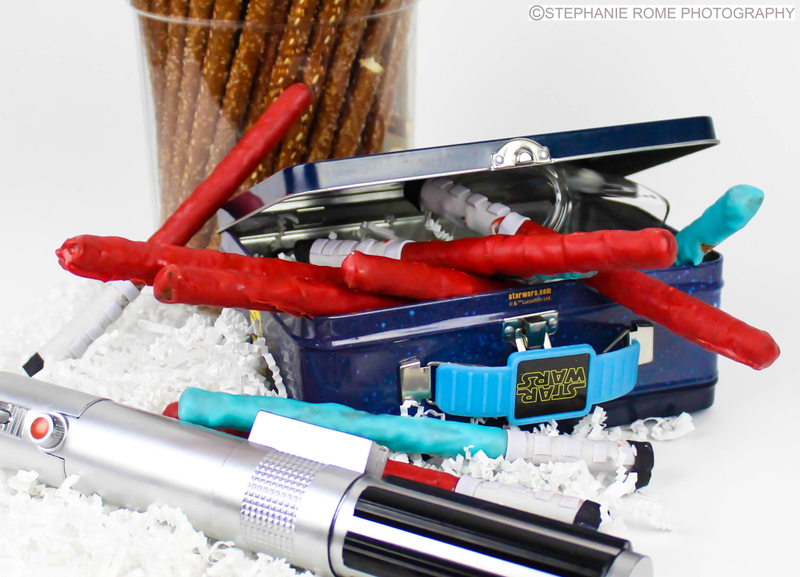 These lightsabers are the perfect combination of both salty and sweet. Which side are you on? Tryna be a little healthy? Grab some edimame, grapes, chips and dip, and get creative with the labels. There are tons of ideas you can grab off Pinterest to help inspire you. Ain’t this the cutest, most delicious looking snack mix you’ve ever seen? Try it out yourself with this recipe.